Check out Baden's Vacation Archive. I put a few pictures from my trip up on this page. We went to Millennium Park, The Art Institute, the Hancock Tower, Rush & Division, The Museum of Science and Industry and Wrigleyville. We didn't get a chance to go to Shedd Aquarium or the Field Museum. The Field has an exhibit on Machu Picchu right now, and I would have insisted on going there had I known that before we left. We ate at Amarit on Friday night and El Jardin on Saturday, both of which I recommend. Name 3 things that you are wearing today. What do you like to order from your favorite fast food place? What time of day do you usually feel most energized? Using the letters in your first name, write a sentence. She always runs around Houston. Yeah, use this on your own blog or send it to your friends in an email. Take out some lines if you don't like them (I sure did) and add at least one of your own. If I were a stone, I would be "Sly and the Family" - just kidding - actually, I'd be a stone island, because although no man is an island, I do well as part of an archipelago. If I were a tree, I would be a ginko because they have cool leaves. If I were a bird, I would be a wood duck. I don't know why, but I have always liked them, plus I like pretty boys. If I were a tool, I would be a rotary cutter, you know like a pizza cutter for fabric or paper. If I were a flower, I would be a dandelion. If I were weather, I would be a heat wave. 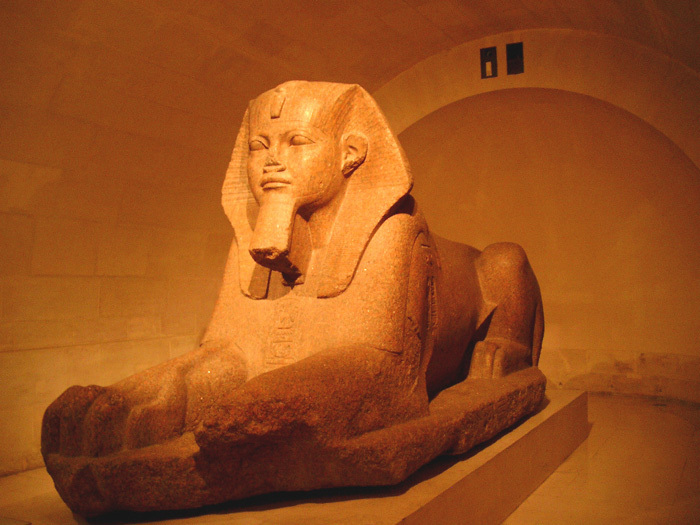 If I were a mythical creature, I would be a sphinx. If I were a musical instrument, I would be tympani. If I were an animal, I would be a cat, a run-of-the-mill orange tabby. If I were a colour, I would be navy blue. If I were an emotion, I would be malaise, a general feeling of. If I were a vegetable, I would be a soybean. If I were a sound, I would be your favorite song. If I were an element, I would be bromine, a dark brown pungent liquid which is toxic and highly reactive. Maybe it is more accurate to say that bromine is my favorite element. If I were a historical figure, I would be Sojourner Truth. If I were a celebrity, I would be in the looney bin. The lack of privacy would not sit well with me. If I were a book, I would be Good in Bed by Jennifer Weiner. If I were a movie, I would be Someone Like You. If I were a food, I would be Curry Chicken from Chiang Mai Thai. If I were a place, I would be a storage area. If I were a piece of clothing, I would be cargo pants. If I were a fabric, I would be army green broadcloth. If I were an object, I would be a safety pin. If I were a word, I would be flummoxed. If I were a body part, I would be an ear lobe. If I were a facial expression, I would be a grimace. If I were a subject in school, I would be math. If I were a shape, I would be a pyramid. If I were a number, I would be seven. If I were a month, I would be March. If I were a day of the week, I would be Thursday. If I were a time of day, I would be 7:00 PM. If I were a piece of furniture, I would be an armoire. If I were a sin, I would be sloth. If I were a liquid, I would be chai tea. If I were a planet, I would be Venus. If I were a scent, I would be vanilla. If I were a sea animal, I would be terrified. If I were a dessert, I would be cannolli. If I were a sky, I would be a sunset. If I were a foreign country, I would be Portugal. If I were a weapon, I would be a spetum, which is cool looking spear. If I were a fruit, I would be a pear. PS Thank you to Yahoo and Google's Image Search capabilities. Have you tried them? I have seen 315 movies made between 1980 and 1995. I saw 110 made between 2001 and 2003. The first movie I remember seeing in a theater was The Care Bears in 1985. I got these numbers by searching for various date ranges and including minimum numbers of votes on IMDB's power search page. Then I went through each list, marking everything 'Saw', 'Want to see' or 'Do not want to see'. I try to keep my Wants updated when I see a movie. So, below is one of the results of my database. It's my Top Ten by Year. Please note: some years don't have ten, some have more, some have less, most have ten. I haven't done the 70's or any earlier decades yet and I am still working on 2004 year-to-date. 1981 just wasn't my year for movies. This post is too long already. -I stepped on a piece of glass large enough to sever a toe, but it didn't! -I was pushing a girl in a wheelchair when I was like six. The two of them weighed at least twice what I did at the time. I got too close to a flight of stairs and we went down. She broke her collar-bone, but I think I was fine. -I sideswiped a car with my bike, not badly hurt, but embarassed! -Lastly, I remember shutting my hands in car doors many times, but it never really hurt, since it was always at the top, by the window. So, when I found KOL, I liked it so much I went looking for other mmorpgs and found this one: Adventure Quest. It's almost as fun as KOL, but the battles get kind of long sometimes. This one is free, also, but if you donate $14, you get to be a Guardian. It helps a bunch when you get the special armor and weapon. Today is my mother's birthday as well as my sister's. Happy Birthday, ladies! And before you try to be cute, no, they were not born in the same year. I am going to Chicago in two weeks with some friends. I can't wait. I should be working right now, but I'm not. All 6 of my KOL characters have gone as far as they can, questwise. I even restarted one of them. I am thinking about restarting another one. I can't wait for the reset now, even though I will lose millions of meat. I want to play the game through without buying anything. I am still working on trophies and meat making, but it gets old sometimes. I am even playing some of my niece's characters just to pass the time. I got an A on my Calculus test. Some of the other students in the class just don't get things and need them explained 3 or 4 times. It gets annoying when they don't even recall simple Algebra. As for my Acting Class, I think I am running at a B+ right now. We finished both of our Two Minute exercises, and we get scenes assigned next week. I need to critique a play and learn my monologue soon. I can't believe how fast August and September went by.